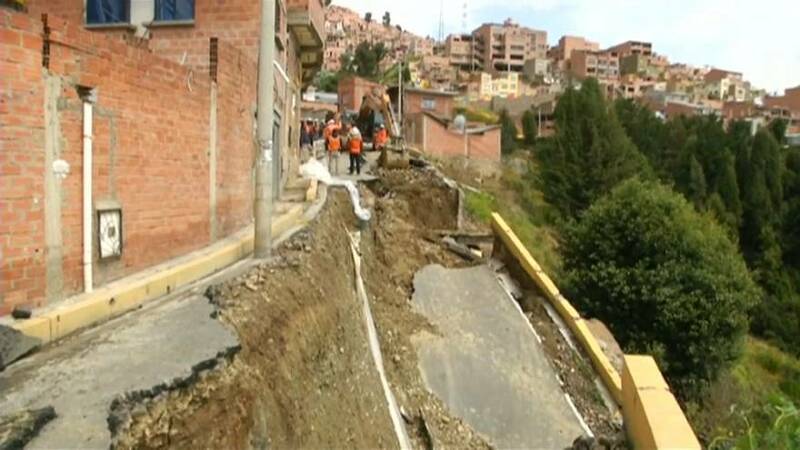 Heavy rains in La Paz caused the collapse of a road in the mountainous city on Thursday (April 4), leaving residential homes literally on a cliff edge. The suburb of Pasankeri was one of the worst hit. This video obtained from Reuters shows a road surface with significant cracks and creaking before it eventually gave way. According to local media, more than 30 people have died and more than 47,000 families affected by this year's wet season in Bolivia.